“Darwinism is still very much alive, utterly dominating biology. Despite the fact that no one has ever been able to prove the creation of a single distinct species by Darwinist means, Darwinism dominates the academy and the media. Darwinism also has not one meaningful word to say on the origins of organic life, a striking lacuna in a theory supposedly explaining life. Alas, Darwinism has had a far bloodier life span than Imperialism. Darwinism, perhaps mixed with Imperialism, gave us Social Darwinism, a form of racism so vicious that it countenanced the Holocaust against the Jews and mass murder of many other groups in the name of speeding along the evolutionary process. Now, a few scientists are questioning Darwinism on many fronts. I wonder how long Darwinism’s life span will be. Marxism, another theory which, in true Victorian style, sought to explain everything, is dead everywhere but on university campuses and in the minds of psychotic dictators. Maybe Darwinism will be different. Maybe it will last. But it’s difficult to believe it will. Theories that presume to explain everything without much evidence rarely do. Theories that outlive their era of conception and cannot be verified rarely last unless they are faith based. And Darwinism has been such a painful, bloody chapter in the history of ideologies, maybe we would be better off without it as a dominant force.” Link.. This entry was posted on February 29, 2008 at 12:24 pm	and is filed under Uncategorized. 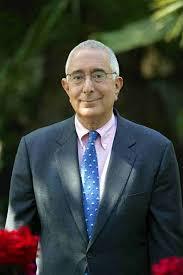 Tagged: Ben Stein, Darwin. You can follow any responses to this entry through the RSS 2.0 feed. You can leave a response, or trackback from your own site. Use of the terms “Darwinism” and “Darwinist” suggests an unfamilairity with the theory of evolution. I have observed that the vast majority of individuals who use those terms have not actually studied the theory of evolution; many of them erroneously believe that the theory of evolution has not been modified since Charles Darwin initially proposed it, and other incorrectly believe that Charles Darwin is revered as a prophet or even as a deity. Madcap is also clearly unaware that there have been observed instances of speciation, and he or she is also unaware that the theory of evolution does not seek “to explain everything”, nor has it ever sought such a thing. The theory of evolution attempts only to explain the mechanism by which extant biodiversity emerged from common ancestry. As Madcap then attempts to argue from the premise that the theory of evolution attempts to “explain everything”, all following conclusions based upon that false premise are unreliable. Attempting to link the theory of evolution with acts of genocide against Jewish individuals is questionable at best. I have, as yet, not heard any individual demonstrating a logical connection between the theory of evolution being correct and the extermination of Jews being a justifiable act. Such a logical connection is logically impossible to demonstrate, because it would imply that the theory of evolution leads to conclusions about whether actions are justifiable, yet scientific theories can never actually demonstrate any such thing. Fact 1: Every population has such high fertility that its size would increase exponentially if not constrained. Fact 2: The size of populations, except for temporary annual fluctuations, remains stable over time (generally). Fact 3: The resources available to every species is are limited. *Inference 1*: Ther is intense competition (struggle for existence) among the members of a species. Fact 4: No two individuals of a population are exactly the same. *Inference 2*: Individuals of a population differ from each other in the probability of survival (Natural Selection). Fact 5: Many of the differences among the individuals of a population are, at least in part, heritable. *Inference 3*: Natural selection, continued over many generations, results in gradual change over time (Evolution). I don’t see genocide or murder anywhere in there, only different efficiencies of predation (acquisition of food and avoidance of being food), and differing reproductive success (some males are liked more by the females). So, Madcap, what in the world are you talking about? Excuse me if it takes some time to explain, I’m flooded with work at the moment. I’m working on a post that may clear some of these semantical problems we are having. It is clear that many are missing my point. My problem is not with any of the facts you list. It’s bigger than that. It’s gross reductionism. If you read Mein Kampf you will see Hitler address every point on your list. I will use quotes from Hitler with ones from Darwin side by side. So then you have no problem with Darwinism. Great. Glad to clear that up. You’re still going on about Hitler and Darwin then? Let’s examine that, shall we? In the Hitler quote, he’s talking about survival and self-preservation. Then he goes on to murder 6 million Jews, who were not a threat to his survival. See how, when he connected the two, he was being a sociopathic lunatic? Not only is he talking about it, he reduces all of life’s purpose to this idea. This is the de-divinization that connects Hitler and Darwin. What part of Hitler had anything to do with Darwin? Did Hitler have to hunt, kill and eat 6 million Jews to survive? No, of course not. I’m surprised you’re intelligent enough to string words together into sentences, if this is the only sort of logic you’re capable of. Hitler thought so. I don’t know where he got the idea from, but that’s what he thought. Exactly! That’s what Hitler thought. NOT what Darwin thought. I never said that Darwin thought like Hitler. You seem to still be missing the entire point. I also notice that not one objection has been raised concerning my claim that Darwin influenced the thinking of Marx and Lenin, though I can provide far more evidence of the impact on Nazism. Why such a hard time with the Hitler connection? Also, do you think that there is a Creator of any kind? Actually, Marx published his most popular work, Communist Manifesto in 1848. Darwin published Origin of Species in 1859. I don’t think either of them had a time machine. And, as Lenin was a Marxist, not a Darwinist, the foundations of his ideology predated Darwinism as well. Learn some history. Do I believe in a creator? No. I can’t disprove one (classical deism), but my own opinion is that whatever came before the big bang, it wasn’t a god. Yes Dan, I know when these works where published. I’ve even read them. So did Marx and Engels. They where so delighted. Asserting that various individuals were “inspired” by the scientific work of Charles Darwin is meaningless without actually demonstrating a logical connection between their stated beliefs and the theory of evolution. Additionally, nothing that you have posted addresses, in any way, the validity of the theory of evolution. It appears as though you are attacking what you perceive as the consequences of the theory of evolution, rather than making an argument against the validity of the theory itself. Such an approach is not rational. Your personal feelings regarding the implications — whether real or imagined — of a scientific theory have no bearing on the validity of that theory.